Home / News / Pedals and Politics = Progress? Siân Berry – Pedals and Politics = Progress? 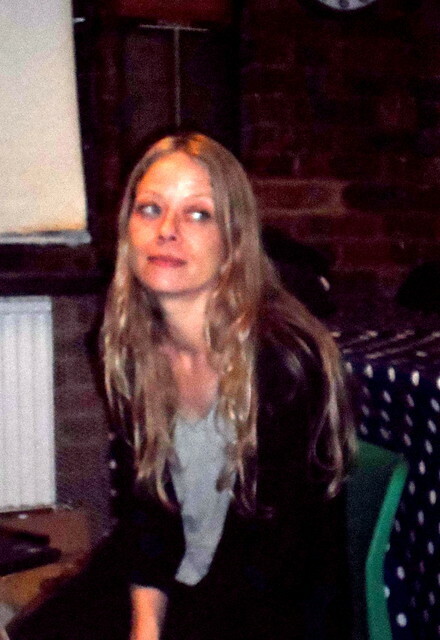 Sian Berry, Green councillor for Camden Highgate Ward, has a wide background in environmental and social campaigning and activism ranging from leading local actions such as citizen science air monitoring, to standing as Green candidate for Mayor of London in the 2008 elections where she was endorsed as first choice for both the Independent & Observer newspapers while receiving Ken Livingstone’s preference as second choice. Sian gave a talk at our meeting on 18th May 2015 with the title of Pedals and Politics = Progress? Siân’s main work involves funding and policy and ‘getting politicians to be excited about giving money to greener transport’ and she stressed the great importance of having a political champion as well as good technicians and engineers in the civil service, in order for money to be spent well – “as important as winning it in the first place”. Siân told us about her work over the years at a national level with transport policy. She talked about a ’terrifying’ document – a ‘command paper’ called Action For Roads in 2013. This involved changing the Highways Agency from a government run, government owned agency, micromanaged by the DfT into a separate company. When there was a change of government in 2010, many plans for road schemes got cancelled in the cuts, but now there were intentions to create a new generation of toll roads run by this private company, which potentially could borrow its own money on the back of them. Siân, working with CfBT, helped to prevent this – though there is still going to be a company, but wholly owned by the government and the toll roads have been quietly dropped. Along with changing the Highways Agency, the Infrastructure Bill was the law responsible for bringing in a ‘Road Investment Strategy, designed to set in stone road-building plans, so any change in government could not then change them. One of Siân’s other projects was to promote a green retrofit for major roads and motorways. Asking if any of us had heard of an eco duct, Siân then talked about these ‘green bridges’ of which there are 600 in the Netherlands, crossing main roads and continuing the habitat on either side. They benefit wildlife and biodiversity and always come with cycle track provision. In the UK currently there is only one of these ‘land bridges’ that was installed over a new road not an existing one. Continuing with her reference to The Netherlands (always popular with us cyclists! ), Siân then spoke about the Hoevenring, the amazing, circular bridge in Eindhoeven, costing about a tenth of the allocated transport budget at about €6.3 million. An image of a ‘crazy’ demonstration was shown, involving members of the Ramblers walking across the A14 in a group that including some blind members – in order to demonstrate the severance caused by main roads for communities, cyclists and people on foot. Another aspect of a green retrofit is measures to get people to change modes. Siân showed us a project by the Highways Agency in 2002 in Essex, where adverts suggested drivers get the train into London rather than driving. This was a more positive step for the Highways agency to take – actively aiming to reduce congestion, rather than widening all the roads, but this kind of campaign no longer happens. Showing all these aspects of a potential green retrofit for major roads, CfBT and other charities sent a brochure to the minister involved with the Road Investment Strategy and proposed some of the money was diverted from road building. As a result they got £500 million for the proposed measures – and were absolutely delighted! (Though they had asked for £3 billion! but, this was a good start). The projects include 200 cycling schemes, and there are plans being made for many more too. The transport campaigning NGOs also teamed up to promote the same kind of long-term funding as in the Road Investment Strategy in the form of a Cycling and Walking Investment Stategy as part of the Infrastructure Bill. This proposed amendment was backed at the commons by the All Party Parliamentary Group on Cycling, and more than 10,000 members of different campaign groups emailed their MPs. This initially ‘cheeky idea’ now guarantees new money (once it has been written this year) for cycling and walking across England and Wales. Looking at traffic modelling and forecasting next, we were shown a chart displaying road traffic forecasts from 1989 onwards (huge rises predicted) compared with what had really happened – traffic growth slowing and going flat over the years. Siân referred to reaching ‘peak car’, with the move away from car use shown to be occuring before the recession. The scenario was that people were taking less car trips overall, with less time spent driving on day trips and shopping. With this ‘flattening’ of road journeys there could be a massive change in how funding was spent – so there would be more for cycling – and road space could also be taken for cycling & buses. Siân talked about how she could support Camden Cyclists in her role as councillor and about the road/traffic data due in across Camden – with evaluation studies (the strips across roads) having been placed at around 200 locations across the borough. The data, now just being analysed, will show speeds/overall volumes/types of vehicle, and split into different parts of the day. It is then mapped to consider where traffic could be calmed – and also shows places on streets where traffic is low so separated routes could be put in safely. Sian encouraged Camden Cyclists to ask for and look closely at this data. Siân explained that she was happy to put forward motions too whether it could get cross-party support or was for green policies of course! John Hartley said he would imagine there is a huge difference between what happens in major conurbations and what happens outside (with regard to modelling forecasts). We were then shown the new maps at http://bettertransportmaps.org.uk, including one showing the fairly dramatic reduction in traffic in London. Siân explained that the national picture is flattening – but traffic has actually reduced quite a bit in London since the ‘90s. Euston Road shows no particular effect of an increase from 2004. Steven – “Did you see the forwarded article about Clarkson?’ (where Jeremy Clarkson had said people don’t need to drive in London and that young people are less interested in driving). Siân then referred to annual road traffic forecasts with a document from a study called ‘On The Move’ by the RAC Foundation. Even this acknowledged the fact that young people are driving less.